Using topical issues to help students learn to think critically is another way we prepare our students for the future. A good example of this approach was used recently in our Grade 10 English class. 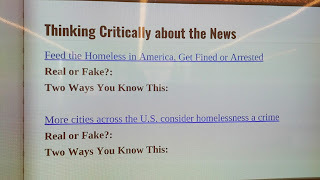 Students examined online articles about racism and homelessness and worked in small groups to build the skills needed to determine which stories were real and which were “fake.” Students then assessed their learning by viewing a TedX Talk by Morgan Campbell called “Race, Sports, and Telling True Stories.” Since this class is co-taught, students had ample opportunity for individual clarification from teachers. 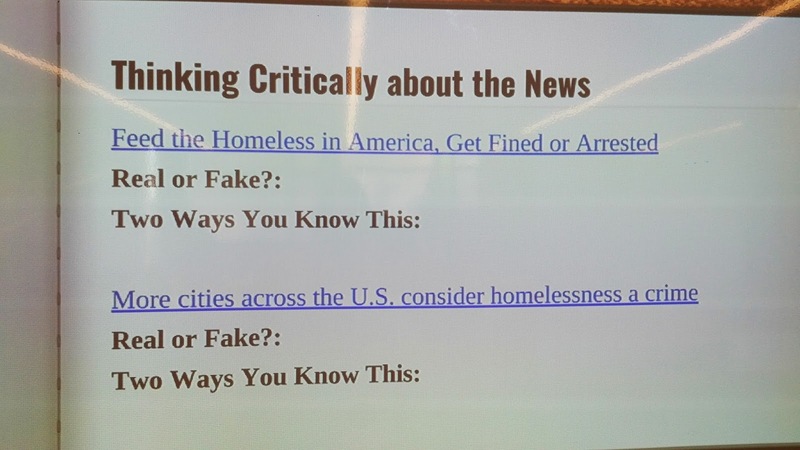 Being able to read and think critically is a vital skill if students hope to participate meaningfully in civic life and navigate successfully the growing body of online content that is presented as truth. main character survive his or her ordeal. Your town has just been devastated by a massive earthquake. The phone lines are dead, there’s no running water and supplies are running out fast. All you have is a few household objects and your ingenuity. How do you make it out alive? Our Grade 7 classes tackled this tough question through a week-long integration project from March 6-10. 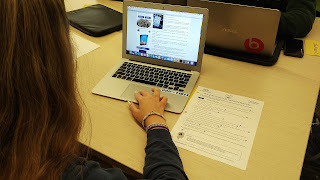 After reading one of three books by Canadian YA novelist Eric Walters about a natural disaster - an earthquake, a tsunami or a flood - students teamed up to help their novel’s main character survive his or her ordeal. Science: Students invented a survival device that helped the characters purify drinking water, keep warm and dry or signal for help. Social Studies: Students needed to understand the specific characteristics of the area where the disaster took place, and to understand how humans acquire, manage and use natural resources based on their environment..
English: Students produced an oral or written explanation of how their survival device works, as well as a series of journal entries written from the perspective of their novel’s main character. 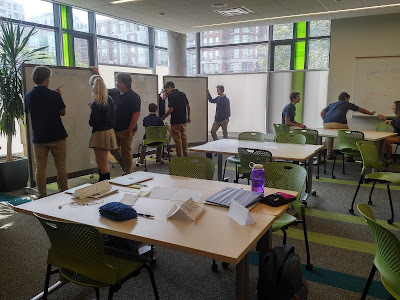 Students used a design thinking approach throughout this process: understanding what the end user needs, making sense of their research and resources and generating ideas and prototypes. By using design thinking, students learn that the process of trial and error is a good way to solve problems. only spacious but allow lots of flexibility. How Did Our Expanded Building Support This Integrated Project? 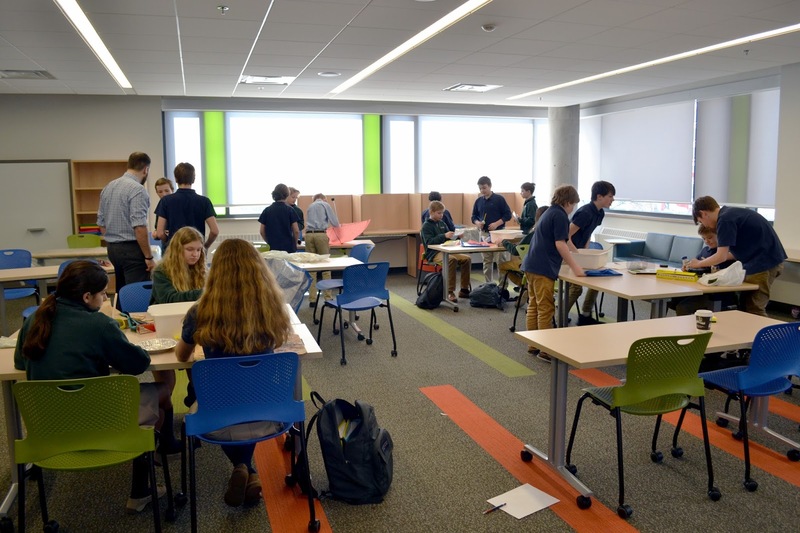 To work collaboratively students need space: ample room to meet in small groups, spread out their materials and build their prototypes. Our learning community rooms fit the bill perfectly: they’re not only spacious, but their flexible furnishings allowed students to configure the room in the way that worked best for them. 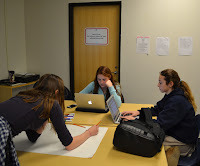 Our teachers also had plenty of space to circulate through the room and support teams as needed during work periods. Our performance theatre also played a key role in the project. Its drop-down screen allowed the Grade 7s to view multimedia materials and go through short lessons as a large group. 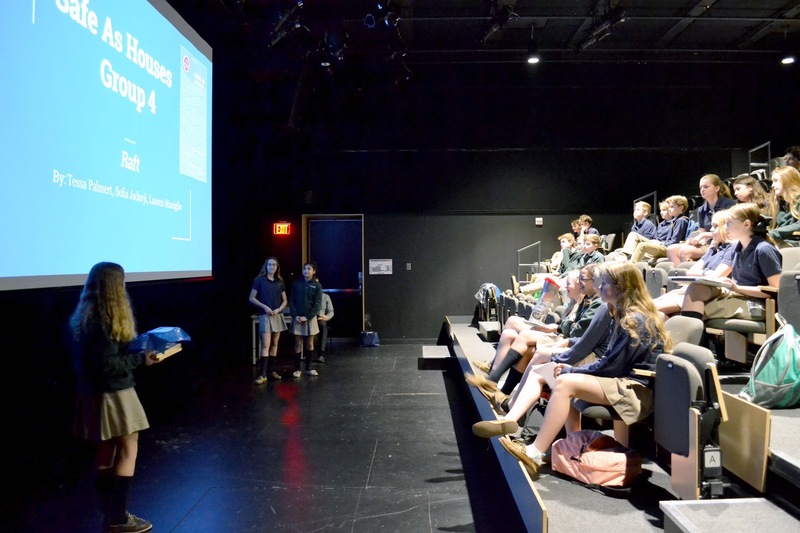 When it was time to present their projects, the theatre provided an ideal venue for this activity. performance theatre provided an ideal venue. Integrated projects encourage students to explore big ideas in greater depth. Last year, Greenwood piloted the use of integrated learning experiences for students in Grades 7 and 8. 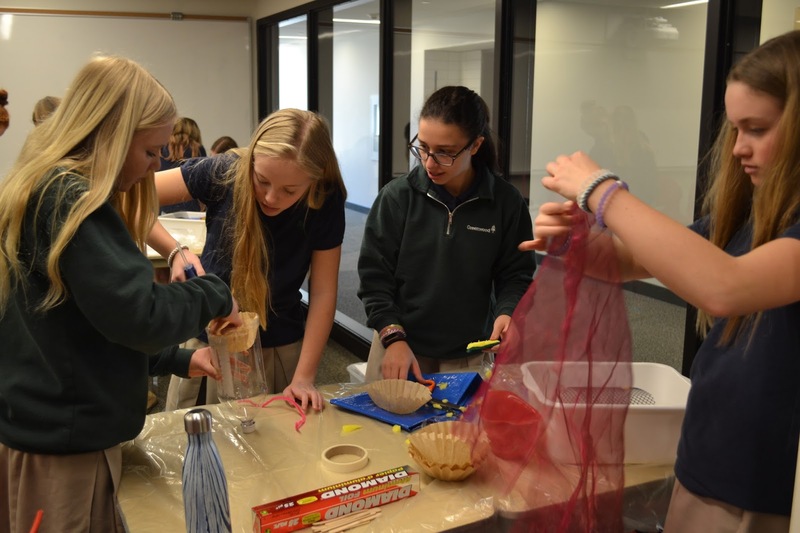 These week-long projects incorporated key concepts from English, math, science and social studies, and encouraged students to explore big ideas in greater depth. 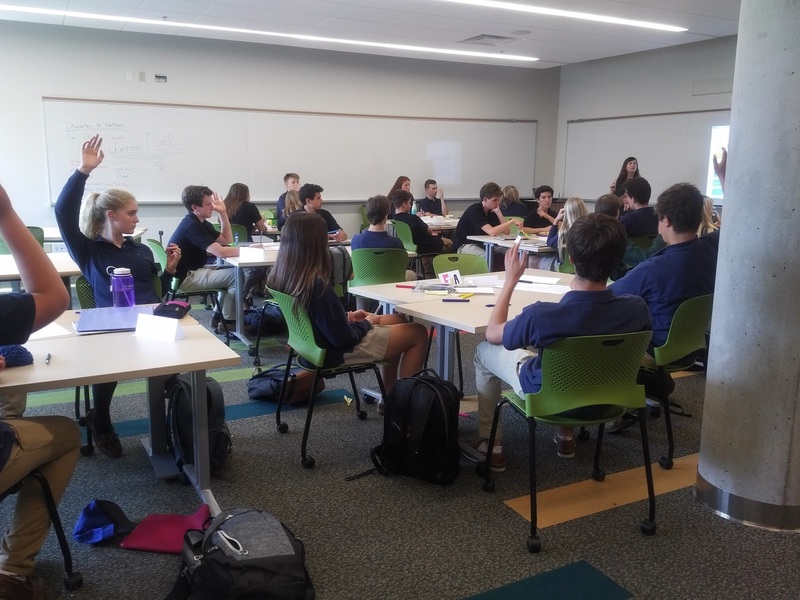 Our new Learning Communities, coupled with the use of blocked scheduling, allow us to find even more ways to integrate subjects together. Greenwood teachers recently used the back-to-back scheduling of Grade 7 English and Grade 7 Social Studies to create a project touching on concepts and skills from both subjects. In the town of Campbell River, B.C. (the salmon capital of the world), concerns have been raised about the issue of overfishing. Members of the community disagree about whether fishing should continue. As a result, the mayor of Campbell River has convened a town hall to listen to the various viewpoints of those affected by the fishing industry. Based on their presentations, the B.C. Supreme Court will decide whether or not salmon fishing will continue. Each student was assigned the perspective of someone for or against the fishing industry - whether it was a fish farmer, a government official, an environmentalist or a member of a local Indigenous community. Over the course of two weeks’ worth of classes, students worked in groups to explore their perspective using a number of resources, and to develop a presentation explaining their viewpoint. Each student then presented to their classmates and to the Supreme Court, who made a ruling on whether the fishing industry would continue. Students were assessed for their content in social studies, and for structural writing and oral presentation skills in English. Each student was individually assessed on their presentation. 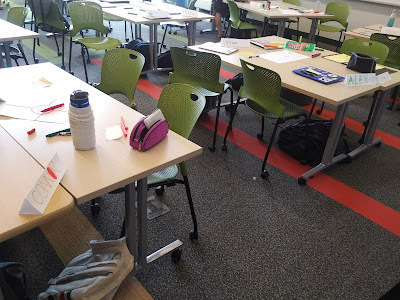 ample room for students to spread out according to their area of exploration. These two classes had the use of three rooms - one large Learning Community and two smaller classrooms - to prepare their presentations. These spaces allowed students to break into groups according to their area of exploration, and to work with students from other classes. “At this age and stage, social mixing is really critical,” says English teacher Lisa West. Will highlighted the project’s connection to a real-world issue. 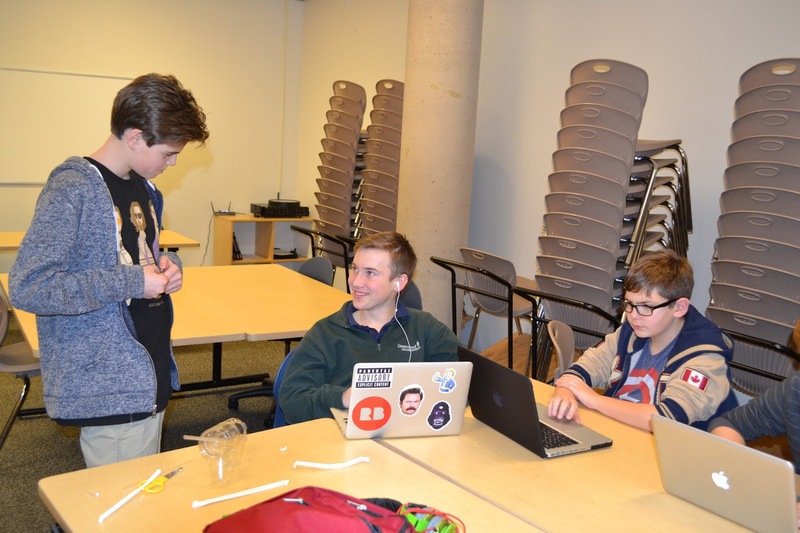 “The opportunity to make their learning relevant really engaged the students,” he says. As subject teachers, we have always been encouraged to create culminating tasks that would have students play a role and apply their subject knowledge to make real-world decisions. These integration projects are a perfect opportunity to take these individual subject role-playing tasks to the next level. This second round of integration projects are designed to primarily assess skills and learning from the year, rather than teach new content. The development of these culminating integration projects therefore present their own unique set of strengths and challenges. There is more time within the schedule for students to focus in on their task, since less time is allotted to teacher-facilitated instruction. As teachers, it is causing us to reflect upon the curriculum in our own individual subjects in a new way. We are asking ourselves questions such as “If it is difficult to find a place for a particular concept or skill within a real-world, integrated project, how essential is it to begin with?”. 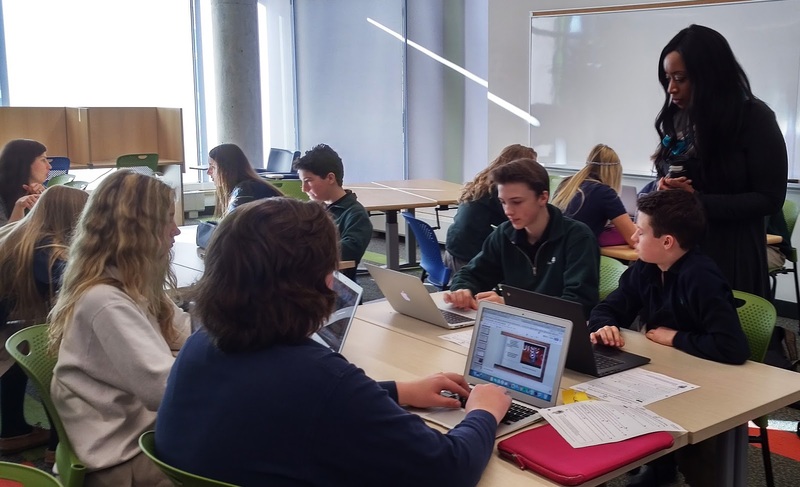 As we reach the final stretch, we are excited to see these culminating projects in action.This first year of Grade 7 and 8 projects have certainly be making all of us, teachers and student alike, think and reflect in new directions. In December, Grade 8 students immersed themselves in Toronto City Council business and municipal politics with proposals to improve City of Toronto drinking water treatment. We were able to leverage Hapara, an online education platform, throughout the project to help improve student learning and streamline teacher assessment. Throughout the learning process we shared templates and resources with students in their Integrated Project Folders on Hapara. Students used these same folders to develop their ideas and create their proposals. All Grade 8 Teachers had access to the folders and we could monitor individual progress to prompt deeper learning and identify students who required additional support. This technology also allowed us to reinforce positive individual and group behaviour, and promote digital citizenship through the collaboration process with shared documents. 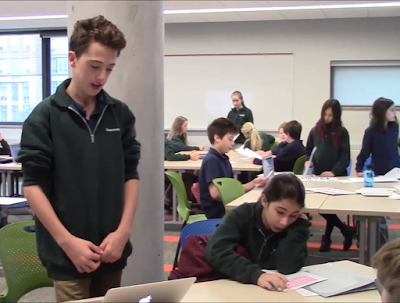 Once the Grade 8 students completed their final proposals to the City of Toronto and presented their ideas to City Council, the integrated project was complete. Each student’s proposal included curriculum expectations for mathematics, English, Canadian Social Studies and science. Teachers worked together to mark the final products. Hapara significantly streamlined the assessment process as teachers from different disciplines could efficiently access students’ products to mark the appropriate curriculum expectations. 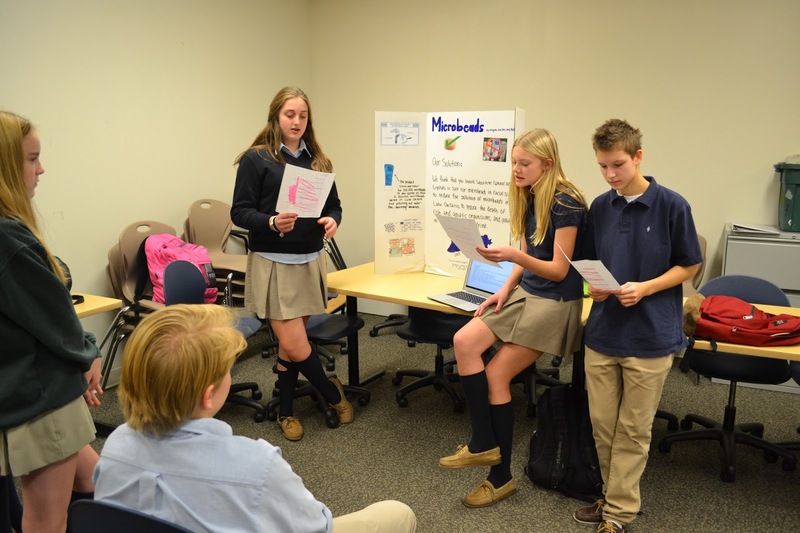 In the integrated project, students created products that examined a social issue with improved breadth and depth by looking with different subject perspectives. The careful design and implementation allowed curriculum expectations from four disciplines to be effectively addressed. 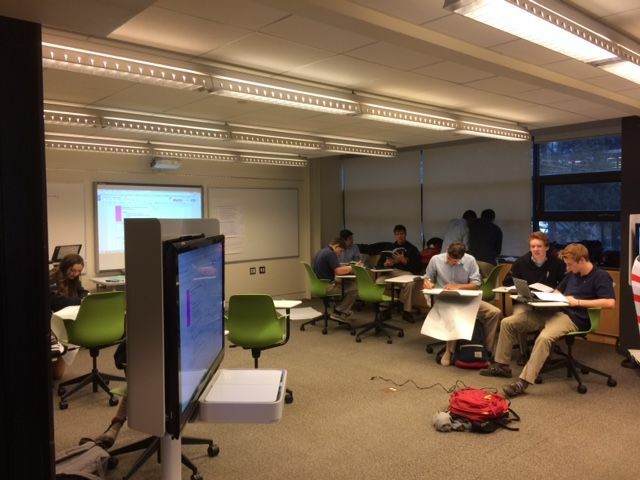 Using technology, we were able to help ensure each student was supported and challenged throughout the process, and student products could be efficiently evaluated. 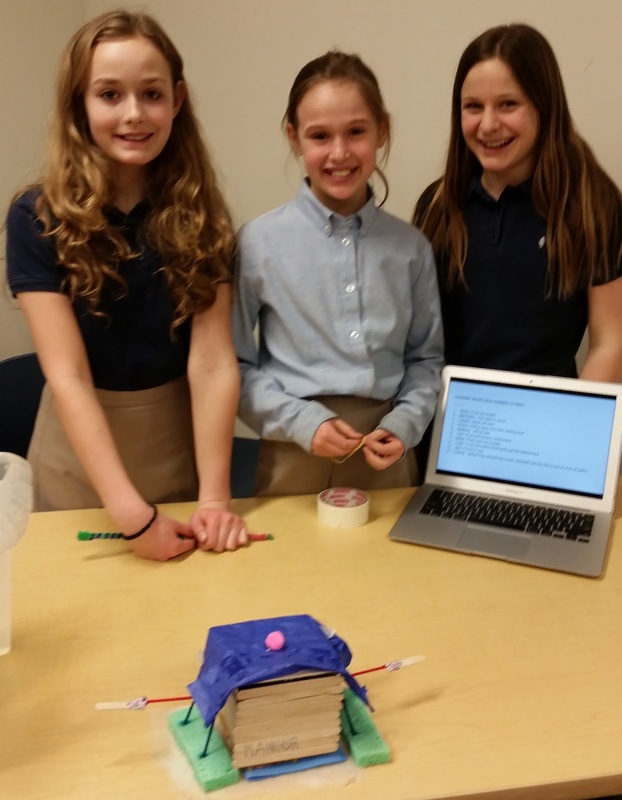 Want to read more about our Grade 8 Integrated Project? Read a student's perspective and a teacher's perspective. 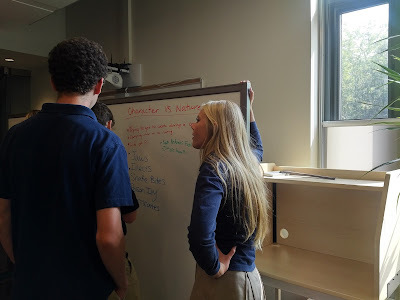 Our focus during Greenwood’s Summer Institute was to give students in the Grade 12 University Preparation English course (ENG4U) the opportunity to participate in aspects of the Advanced Placement (AP or ENG4UO) program, and potentially write the AP Literature exam. Combining the programs also broadens the range of perspectives, which is critical in the study of English. of view in the conversation. We began the planning of this program by looking at the skills and texts of each course to see where they fit together. Both courses follow the Ontario curriculum; however, elements of the AP exam require students to study a larger scope of historic literature. We then aligned the two courses by focusing on the study of two texts that are read at the same time in both courses: The Great Gatsby and Hamlet. We also looked at ways to use different texts but teach the same skills. 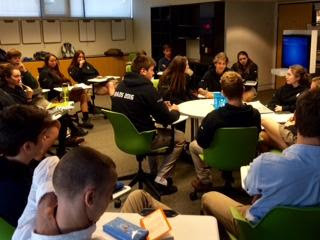 For example, while the ENG4U students analyzed short stories, the AP students focused on novels, but all students participated in seminar-style discussion groups. 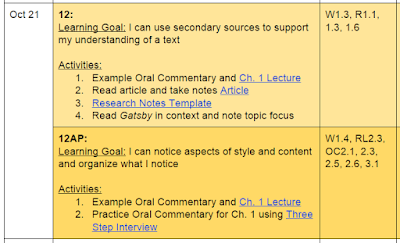 In organizing instruction, we designed a daily agenda where students can see their learning plan and choices for each class. 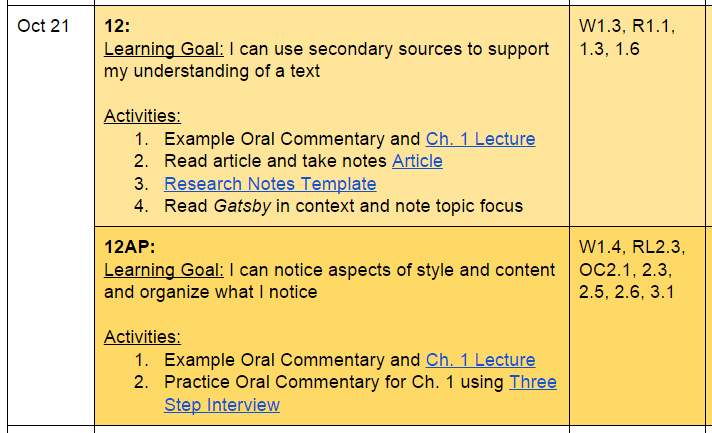 Ideally, ENG4U students will see opportunities for challenge and will attempt AP content. 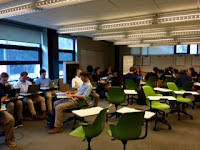 Already, many students in the combined class elected to listen to the lecture on writing a personal essay, an approach usually reserved for students in AP English.